In addition to exemplifying Pope Francis’s magisterium through his outstanding devotion to family life as well as his tireless efforts for peace, Blessed Karl von Habsburg was also a picture of the socially responsible ruler that Pope Francis has promoted to government officials on many occasions. He was a man of solidarity with a personal concern for the poor and suffering, an appreciation of the diverse cultures entrusted to his care and in summary, truly a servant of the people under his rule. Emperor Karl taking his Coronation Oath at Holy Trinity Column outside Saint Matthias Church, 30 December 1916. 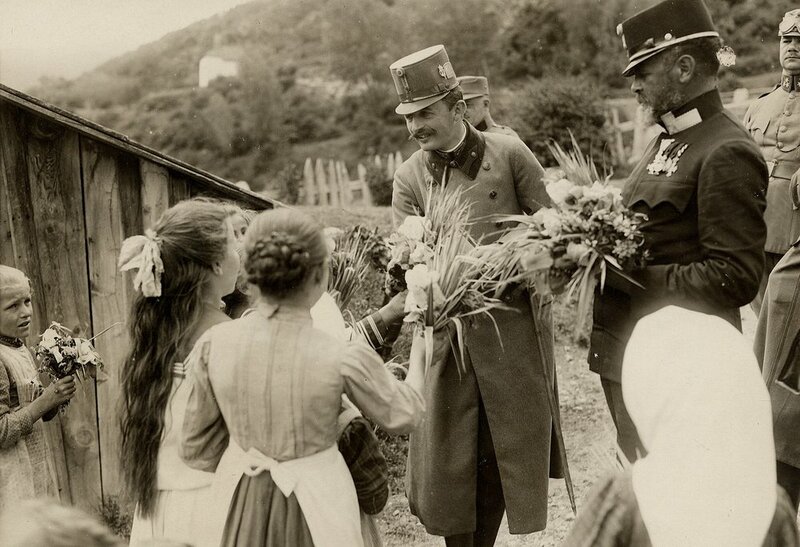 Emperor Karl receives floral gifts from his people. 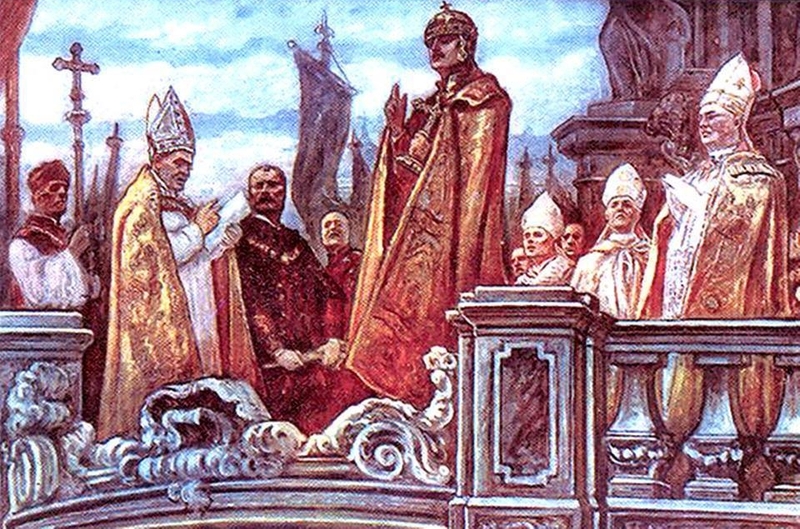 In this small, three part series, we have reflected on how an Emperor from a century ago remains a relevant and compelling witness of a modern papal magisterium. We can best see what Pope Francis proposes as an ideal marriage and family in the loving marriage and strong, tender fatherhood of Blessed Karl of Austria. Further, we see how this man and leader embodied and labored to carry out the work of peace to which Pope Francis emphatically calls us. Finally, we find in Blessed Karl, the kind of conscientious and socially responsible Christian statesman whom Pope Francis calls our current government leaders to be today. In summary, to bring all of these points together, we could say that the unifying theme in Blessed Karl’s life is that he was a father. Because he knew who he was as a son of God in Christ, this made it possible for him to be the father of a family and the father of an Empire; the best of fathers who always held in his heart an irrepressible desire for peace for his people. In Blessed Karl, we can find an example to follow and an intercessor. He teaches us and supports us in all our efforts to battle the evils of a culture of waste and the violent, relativistic, individualistic chaos that threatens peace in our day. Perhaps most importantly, however, we can find in Blessed Karl a strong and tender father who cares for us and can help us to find our ultimate purpose in living out the will of God, our Heavenly Father in all that we do. May we learn to echo his last words, “The Holy Will be done. Jesus, Jesus come! My Jesus, as you will it. Jesus.” Blessed Karl von Habsburg, pray for us!